Latvian champion Ventspils made a marquee addition to its roster, signing veteran guard Kristaps Janicenoks to a long term deal. Janicenoks (195cm, 31 years old) last played for a Latvian rival and a fellow Eurocup side VEF Riga, where he spent last four seasons, winning three Latvian League titles in the process. Last season he posted averages of 10 points, 1.6 assists and 1.4 rebounds in 9 Eurocup games. That was his sixth Eurocup campaign, having played a total of 52 games in the competition with VEF, Telekom Bonn and Fortitudo Bologna. 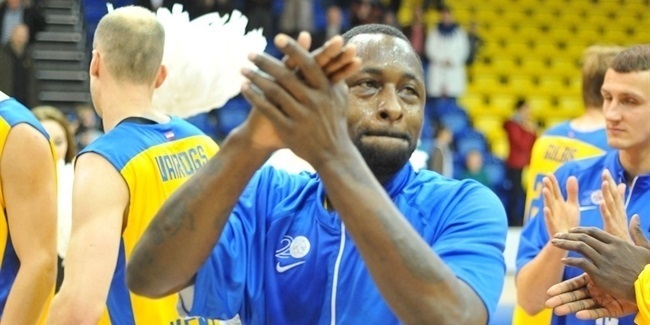 His Eurocup career average is 13 points, 2.2 rebounds, 1.6 assists and 1.0 steals. Janicenoks is also only one made three-point shot shy of reaching 100 hundred for his career in Eurocup, and he will have a chance to join that prestigious club in Round 7 when Ventspils hosts Lokomotiv Kuban Krasnodar. Janicenoks, who began his career with ASK Broceni Riga in Latvia, has also played for Skonto and Barons LMT in his native country, for Liege in Belgium, as well as Capo D'Orlando, Teramo and Venezia in Italy. He has also been a regular for the Latvian national team for an entire decade, having played at EuroBasket for Latvia four times.